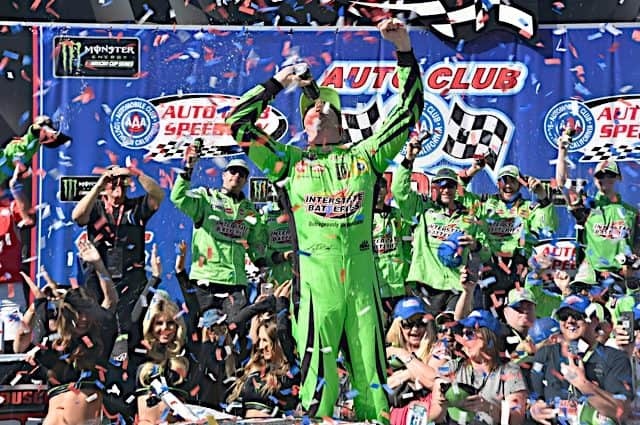 In case you missed it, Kyle Busch won the Monster Energy NASCAR Cup Series’ Auto Club 400 at Auto Club Speedway in California on Sunday. 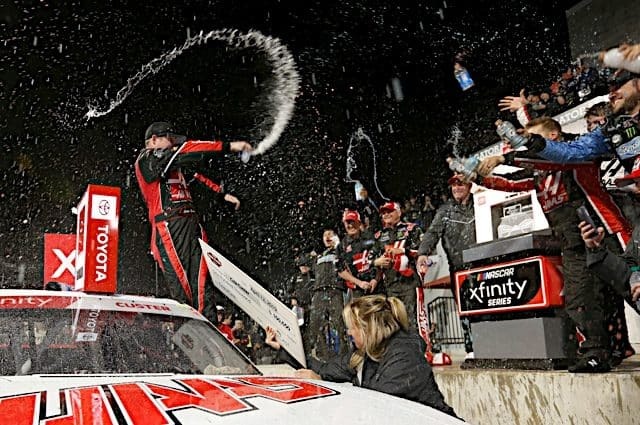 It was his 53rd Cup victory in 503 starts to go along with 94 Xfinity Series wins in 348 starts and 53 Gander Outdoors Truck Series triumphs in 147 starts. That adds up to 200 national series wins. 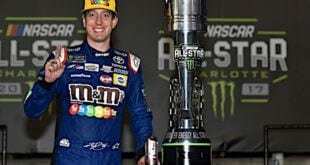 Over his career, Busch’s wins have come for five organizations: Hendrick Motorsports and Joe Gibbs Racing in Cup; Hendrick, JGR and Braun Racing in Xfinity, and Billy Ballew Motorsports and his own Kyle Busch Motorsports in Trucks. 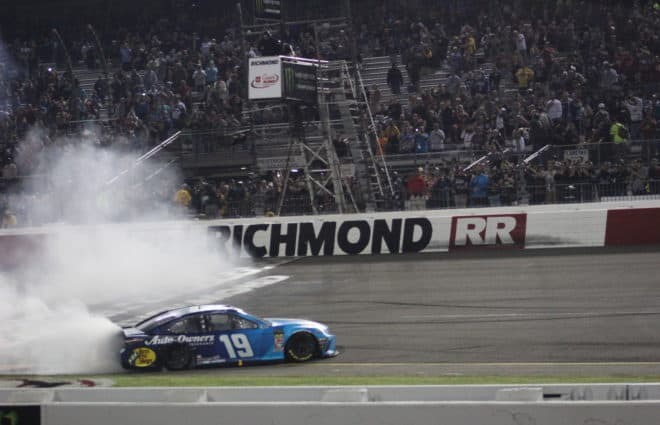 Even more impressive, Busch has entered 10 races thus far in 2019. He has 10 top 10s with a worst finish of sixth in the Folds of Honor QuikTrip 500 at Atlanta. The rest of the events? All top fives, with six wins. While Chevy cars haven’t been starting off too well this season, one team in particular has shown improvement: JTG Daugherty Racing. Rookie Ryan Preece was eighth in the Daytona 500, and then at Atlanta teammate Chris Buescher was ninth, following that up with 18th in Las Vegas, ISM Raceway and Auto Club. Those aren’t spectacular numbers on paper, but for a team hovering on the midpack/underdog bubble, they’re fantastic. Even better, they have more than enough sponsorship, unlike some other much larger teams. Richard Childress Racing will be glad this weekend is behind them. 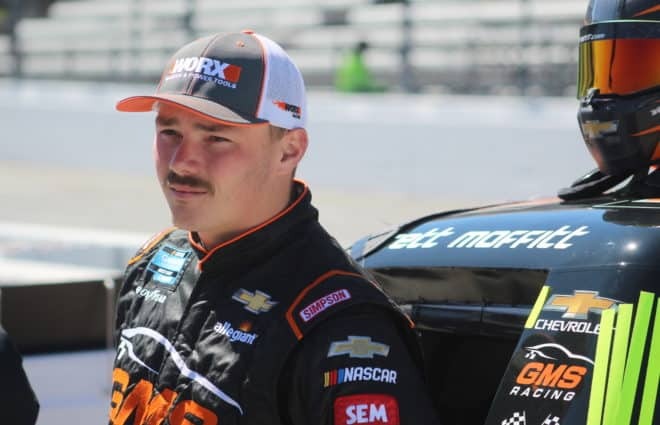 Austin Dillon managed to squeak out a 10th-place finish, his first of the season, despite not feeling well, since the alternative would be getting replaced by Ford driver Cole Custer, the only NXS regular left in California on Sunday. Rookie Daniel Hemric was 35th after smacking the wall in the No. 8 car. Their alliance teammates didn’t fare too well, either. Ty Dillon was 27th after the Germain Racing No. 13 had repeated tire problems. Tire problems blew up Bubba Wallace‘s No. 43 for Richard Petty Motorsports, too, leading to a 30th-place result. And finally, Austin’s wife Whitney fainted on pit road before the race started. Martin Truex Jr seems to have settled into the JGR stable. 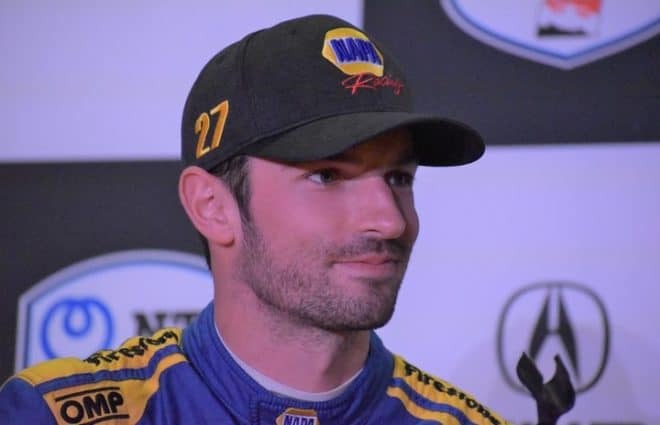 After an inauspicious start with a wreck in the Daytona 500, he’s reeled off a runner-up performance at Atlanta, an eighth in Las Vegas, another second-place at ISM Raceway and then another eighth in Fontana. Kyle Larson is a master at Michigan International Speedway, which Auto Club is essentially a clone of. Yet despite his prowess there, that speed was nowhere evident on Sunday, as the No. 42 was essentially invisible, qualifying 15th, failing to score any stage points before finishing a disappointing 12th. On the plus side, while Larson hasn’t scored a top-five yet, he also hasn’t finished worse than 12th this season, as it was the third time that’s happened in 2019. Maybe the lack of Xfinity practice is hurting his performance? 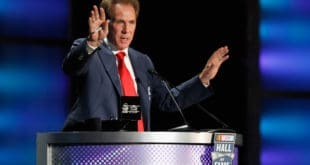 Except for a crash in the Daytona 500 leading to a ho-hum result of 25th, Kurt Busch‘s move to the Chip Ganassi Racing No. 1 has made him the early No. 1 driver in the Chevrolet camp. With his sixth-place run on Sunday, Busch has reeled off four straight top 10s, and seven in the last nine races, dating back to last season. It kind of seemed like this would be the week Hendrick Motorsports broke out with a return to form, as both Chase Elliott and track-wins-leader Jimmie Johnson qualified in the top dozen. They both earned stage points, at least, but Elliott was the best of the HMS quartet in 11th. William Byron was 15th, Johnson was 17th and Alex Bowman brought up the rear in 21st. An interesting note: the Hendrick drivers finished in numerical order from Elliott’s No. 9 to Bowman’s No. 88. More alarming, through a combined 20 races, the organization has just three top 10s, two ninths and an eighth from Elliott and Johnson. We have a rule for the Paint Scheme of the Week: it can’t be the race winner, because if fans watched the race on TV, they would have seen far too much of that car already. But we’ll break that rule this week, because while the current green-and-silverly-gray paint scheme for the Interstate Batteries No. 18 Toyota Camry looks dreadful (and inspired by zebras), Interstate Batteries has been with Joe Gibbs Racing as a primary sponsor since their inception in 1992 with Dale Jarrett wheeling the No. 18 Chevy Lumina, and they stepped in during the races Mars didn’t want to sponsor during Kyle Busch’s tumultuous 2011 season. Their presence during this win felt very appropriate, and that’s not even considering that it was one of the only green cars running on St. Patrick’s Day. My colleague Christian Koelle spotted a poor reptile meet his demise Sunday afternoon. Shooting photos this weekend @ACSupdates and I just saw the saddest thing ever. A lizzard on the wall must've got scared and jumped off the wall landing in the pack of cars at the entrance of turn 3. The West Coast regional favorite In-and-Out Burger made an appearance on the Roush Fenway Racing plane. Also, this is just a cool idea, matching with the sponsor of the week whenever possible. More teams should do that. 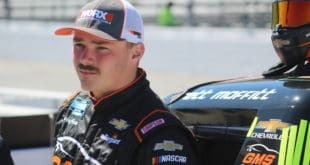 The oldest NASCAR track is up next as the Cup Series and NASCAR Gander Outdoors Truck Series take on the flat half-mile Paper Clip of Martinsville Speedway. 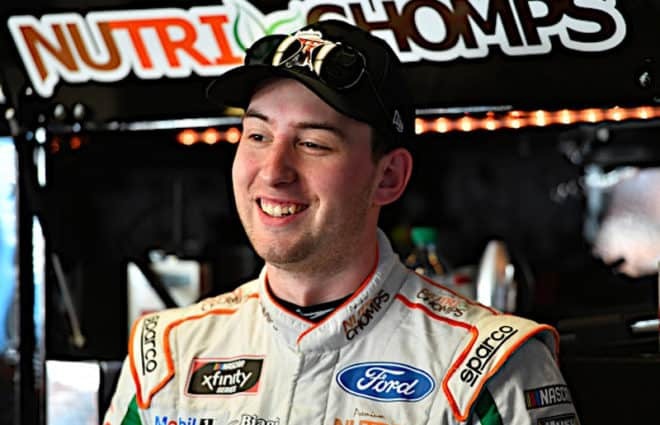 In the Trucks, Johnny Sauter will likely be a threat to pick up his fifth win at the track, and in Cup, while both Ryan Blaney and defending spring race winner Clint Bowyer will challenge him, Kurt Busch will take the checkered flag on Sunday. The currently-unnamed Truck Series race will be on Fox at 2 p.m. ET on Saturday, March 23, while the STP 500 will be Sunday, March 24, at 2 p.m. ET, with television coverage on Fox Sports 1. My choice for HOT is the Penske Trio all finishing top 5. NOT is the bs coverage of a cooked up marketing gimmick of Mr. M and M’s making 200. So that means 53 in Cup. What a joke.